What happens when your mind wanders? You might strike creative gold. "It turns out that when you get bored, you ignite a network in your brain called the 'default mode.' So our body, it goes on autopilot while we're folding the laundry or we're walking to work, but actually that is when our brain gets really busy." These moments give us time to reflect, plan, and set goals. In our digital world, we have slowly forfeited this time to think in favor of sidetracking ourselves with apps like Instagram, Facebook and Reddit. We open Google Docs while watching YouTube. We read project documentation while browsing Product Hunt. We rapidly shift between tasks in the belief that we are boosting our productivity. The reality is much more sinister. We are stifling the brain’s ability to focus, be productive, and think deeply. "If you're attempting to multitask, you know, doing four or five things at once, you're not actually doing four or five things at once, because the brain doesn't work that way. Instead, you're rapidly shifting from one thing to the next, depleting neural resources as you go." It’s a problem that has only become more common. A decade ago, workers shifted their attention every three minutes. Context switching has since accelerated to every 45 seconds. The average person checks email 74 times a day and switches tasks on their computer 566 times a day. Each of those switches, as small as it may seem, consumes valuable mental resources. As each app fights to win our attention, the productive brain is the ultimate loser. In his TED Talk, he describes how these companies compete for our attention, which results in constant context switching and neural resource depletion. 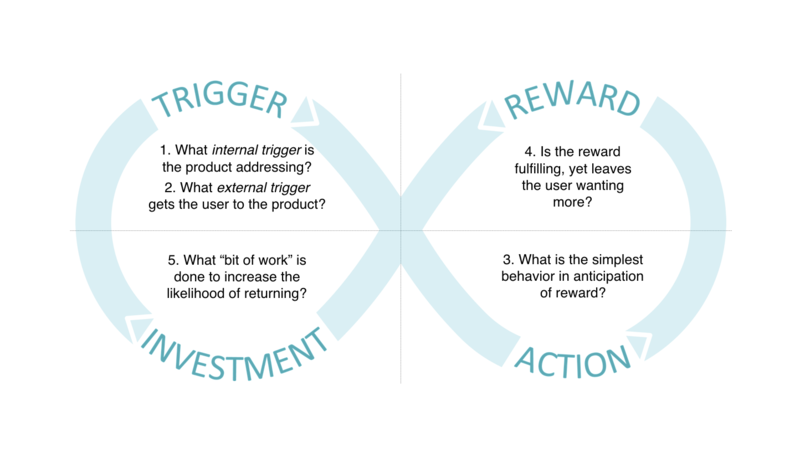 Nir Eyal, author of Hooked, shares a framework for how tech companies build these addictive products that have resulted in the incredible acceleration of context switching we’ve seen over the last ten years. Companies like Apple have been listening to the criticisms. Apple recently released Screen Time, a feature that shows how often you pickup your phone and actually encourages you to put down your phone more often. Next time you hit a roadblock, think about the real reason you’re picking up Snapchat, updating your Jira board, or reading the latest Elon Musk tweet. "[If] it's to distract yourself from doing the hard work that comes with deeper thinking, take a break, stare out the window and know that by doing nothing you are actually being your most productive and creative self." The cost of context switching is high. We deplete the brain’s resources faster and fail to reach our full potential. By minimizing distractions you can open up a new world of creativity and productivity.